What’s missing in the Isis religion and the Catholic religion that’s causing such great anger? Where did the religions go wrong? Why do we see nuclear bomb hatred all over the world? The Vatican started establishing schools in America once they set foot on the ground. Christopher Columbus and his band of terrorists, ruthlessly killed anyone who would not put their children in those schools; thereby, taking the children by force. Yes, they were killing people in this so-called “land of the free and home of the brave”. What Is Being Taught With the Use of that Phrase? If you have any true bravery within you, you will want to do and practice what is explained in this article. If you are fearful and unbelieving, the Savior, Yahshua Messiah, gives you your judgment and sentence. True bravery does not entail the use of guns and bombs. That shows stupidity and cowardliness. No love or care is shown in taking the lives of others, instead of facing and solving problems peacefully. I have brought the Names Yahweh and Yahshua to all corners of the earth. Do these Names put fear in you? Are you afraid to pronounce them in public? Why would you not fear talking about and promoting war; yet, fear standing up for Righteousness? These Names should be in your Bible. Your Bible is supposed to be a word-for-word translation of The Book of Yahweh. [Search] ye out of the book of the LORD, and read: [not] one of these shall fail, none shall want her mate: for my mouth it hath commanded, and his spirit it hath gathered them. Why does the King James Version use Lord instead of the original Name of Yahweh that was used by the Inspired Prophets and Apostles? Who is Lord? To whom does Lord apply? And Why Did the Roman Catholic Church use it to replace the Creator’s Name? First, notice from Unger’s Bible Dictionary that Lord is not a divine title. The word Lord should have never been used to replace the Creator’s Name. 1. Jehovah (yahweh: Heb. YHWH, “self-existent”) This is used as a proper name of (the Creator) and should have been retained in that form by the translators. See (The) Lord; Yahweh. Lord refers to the dead. Lord is the title of evil pharaohs, kings, masters, rabbis, and now popes; even some evil popes who murdered thousands of people. When you pray to Lord, you pray to those dead people. Why should the word Lord not be used in prayer, in worship or in your Bible? Are people afraid to learn the Truth and then stand up for that Truth? Are you?! Why do you fear standing up for the Inspired Scriptures? Where does such fear arise? The answer is: fear comes from propaganda and persecution originating and fostered by the Vatican and Roman Catholic Church for centuries now against the Inspired Scriptures, and also prophesied for this generation. Notice Yahshua Messiah’s Statement, then read Isayah’s Inspired Prophecy concerning the agency behind the fear. The late Malachi Martin, a Roman Catholic Jesuit priest, wrote the book The Keys of this Blood revealing the fact that the Roman Catholic Church is made up of what the world calls Jews today, and they hold the keys, by bloodline, of the Aaronic priesthood. Malachi Martin was an insider in the Roman Catholic Church and told many of the Vatican’s secrets and plans. One such secret revealed is that the Catholic Church uses propaganda and the spreading of lies to turn one people against another, and nation against another. But why would they prefer worshipping the dead instead of worshipping Yahweh? They place men in governmental positions in nations they want to bring down. These men are taught how to create problems. The Vatican, therefore knowing the cause, can quickly solve the “problem” and appear to be the hero for doing so. When you know the cause of the problem, of course, you will know how to solve it. No one knows that you created the problem in the first place, so you are made to look great; although, your actions are evil. The Pope pretends to want to help. He even proclaims that he’s sorry for what the past fathers have done to billions of people, but that’s where his actions stop. The children in the schools in America, and throughout the world, continue to be taught fighting and war. The students continue to murder one another. After each killing spree, not really knowing what to say to the families of the victims, the officials try to comfort them. Yet, they are filled with hatred and desire to continue in the same revenge and retaliation as Cain. Yes, as Cain. In verse 11, the word woe means destruction brought on by vengeance and retaliation. Also notice in this verse that all the world has gone the way of Cain. In verse 10, we see they corrupt themselves in those things. The corruption leads to the woe (destruction) that comes from confusion, which comes from the consumption of unclean animals, birds, fish, etc. or STDs from unlawful sexual acts. Parasites from swine (pig/pork) and other unclean animals, as well as from STDs, can be passed to unborn children and from one infected person to another. When Yahweh’s health Laws are not taught to the children, their minds are shown to become confused. The older they live, the more confused they become. Some become like zombies until they succumb to death. Others are declared to be mentally-ill after they commit a foolish shooting, stabbing, or bombing. Many take their own lives. Many others turn to drug-use trying to find what the Inspired Scriptures would give them, had they been taught by the parents, teachers, judges, ‘Supreme Court’ or religions. None of your religions take time to teach your children Yahweh’s Guiding Laws to Righteousness because your minds are all confused and you are spending all your time devising or divining war to kill each other. But you have your doctors and drugs, right? The only way science has to combat sickness, including mental sickness and disease, is drugs. But the drugs have gone their limit and the viruses keep getting stronger. There is nothing more for one to hope for in that field. Now you have brought back the plagues, that killed about half of the population, caused by your earlier murders in the 15th Century. The collapse of the medical services in the terrorist-controlled territory of war-torn Syria is responsible for the spread of a flesh-eating virus, known as Leishmaniasis, transmitted through parasites which abundantly munch on corpses dumped in the streets. According to the Kurdish publication the first outbreak of the disease, spread by sand flies, was reported in September 2013, and by mid- 2014 around 500 people had reportedly been affected. “If someone dies who gets the infections then flies come. Then they multiply. You get many more flies that are infected. And then when the living people are in the same area the flies bite the living people,” Schaffner explained. 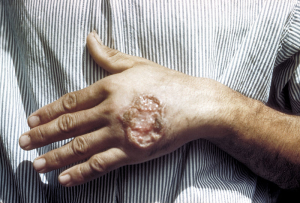 According to an Acta Dermato-Venereologica publication investigating Leishmaniasis cases in Syria, some 53,000 cases were reported in the country in 2012, while 41,000 cases were reported in the first two quarters of 2013. Citing Leishmaniasis Centre in Aleppo 22,365 cases were reported in 2013 in Aleppo alone. With the Syrian conflict gaining momentum and IS growing in strength, statistics has likely only worsened since then. Are you not ashamed of how the Savior, Yahshua Messiah, classifies you religions, in this generation? Your diseases are incurable! How could Yeremyah know that your diseases would be incurable in this last generation, with increased knowledge? For this is what Yahweh says: Your affliction is incurable, your wound is severe. The Prophet Yeremyah is speaking of the twelve tribes of Israyl and Yahdah, which both of you are today, in this generation. Did you notice the last part of verse 2…evil of their doing? Look at that again…evil like the Gods. Not Righteous like Yahweh, but evil like the Gods you are serving. These religious actions of yours – Catholic, Vatican (divining serpent) and Muslim – in this generation, are what is causing the problems and plagues, and will soon bring the burning. All religions in this generation, except one, worships (serves) Gods and Lords. Evil like the Gods means as Cain, seeking revenge, retaliation, and continual war. Remember, Genesis 3:5, you will be as Gods knowing evil. You care more about oil, money and your sinful lifestyles than you do your neighbors, as Yahweh shows. Genesis 3:7 shows that Adam and Eve both sinned in obedience to Satan by being evil like the Gods. Hebrew root word oram is traditionally translated naked in this verse. 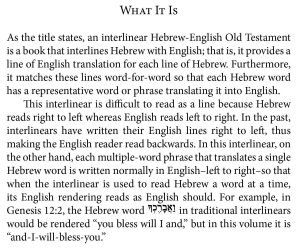 The Theological Wordbook of the Old Testament by Harris, Archer, and Waltke, Volume 2, page 695, shows this word is correctly translated sin. See also I Yahchanan 3:4. They were evil continually, just like today. Television was invented in this generation. From the time a child is old enough to form impressions in his/her mind, that child is old enough to be taught to kill. Yahweh warns every person who will read the Inspired Scriptures to learn not the way of the heathen. The way of the heathen? All religions in this generation are described as being like those in the days of Noah. You’re evil like the Gods you serve. Now Children are Being Trained in Nuclear War–The Destruction Foretold! Yahweh severely warns those who are free and brave enough to read the most authoritative book, The Book of Yahweh, or even a rendition of it such as the King James Version, to train your children so when they are grown they will retain that training. If they were trained in Righteousness, they would resist the evil of the Gods. Yahweh said, I have not sent the Vatican. I have not sent the Muslims. But if they had taught my Laws, they would have turned the people from evil. The Savior said this is the greatest Commandment. If you will teach your child Righteousness, so that he practices, and he is able to get old in this generation, your child will not practice breaking the Laws of Health, Peace, Joy, and True Love. All religions in this generation are teaching and training their children fighting and war, on top of other sins that result in sickness and disease, with the exception of one religion. That one is Yahweh’s Present, Prophesied Work. Did you notice, in the Last Days? The Savior, Yahshua, said The End is this generation. Please think! Isn’t it strangely remarkable that The House of Yahweh is the only religion on earth in this generation teaching Peace? Just as prophesied, it was established by a man that Yahweh called the Branch, who was born in the prophesied year 1934. Wow! That is a remarkable Prophecy that has come to pass by the Hand of Yahweh. Yahweh offers peace. Did you notice that last part of Isayah 2:4? They will learn war no more. Yahweh, Only, can and will bring this to fulfillment. Of whom does Yahshua speak? The city that judges from the seven hills; another remarkable Prophecy. Verse 9…seven heads are seven mountains. This word means mountains or hills. What city sits on seven hill and is the leader of the kings of the earth? The Basic Everyday Encyclopedia, page 451, gives us the following information concerning these seven mountains (hills). This city is making war against the Lamb, Yahshua Messiah, in this generation. It’s led by Satan. All religions, except for one, are being led, even forced into these wars, as I write. The one religion not heading towards war is Yahweh’s Prophesied Work, protected by Yahweh in this generation having Yahshua Messiah as its High Priest. Did you notice?!!! Verse 4 states that the children and adults, men and women, will learn (or be taught) war no more! Notice what’s causing the wars. These wars could be stopped NOW if the Vatican and the Muslims would repent and be converted as shown in Acts 3:19. Notice the cause of war. Those who repent and convert to Yahweh’s Righteousness will have peace and protection. Those who repent of practicing evil like the Gods – practicing sin like the Gods – are promised protection. But only if you repent and are converted to Yahweh’s Righteousness. Righteousness is something we can all live with and agree to. No one can live with rebellion, hatred, and war. The following are excerpts from an interview with Dr. Theodore Postol. The cause is following Satan, demons and the Gods. Yahweh offers Peace to any individual who will repent of sin and be converted. Read the last part of verse 13 again…in which Righteousness dwells. Righteousness? The House of Yahweh is the only religion in this generation that is seeking and teaching Yahweh’s Kingdom and His Righteousness. No matter how evil your past, repent and sin no more! Be converted by practicing Righteousness (I Yahchanan 3:7) and your sins will be forgiven. The only place you will find the above is in Yahweh’s Last Days Prophesied Work. Yahshua is waiting to hear from you! Praise Yahweh for His Plan!